The CHiP program is a free public service for the parents or guardians of young children, offered by Masonic Lodges throughout the United States and Canada. CHiP stands for “Child Identification Program,” and the events usually take place at public venues such as fairs and other community gatherings. By creating a packet of identifying information, the program assists families who may have to provide the information to law enforcement officers when reporting a missing child. Having access to such specific identifying information could help them more quickly recover and identify the child. One tenet of Freemasonry is to participate in charitable works and serve one’s community. In the 1980s, several law enforcement officers, who were also Freemasons, started programs to fingerprint young children, so that they could be more easily found and identified if they were reported missing. In addition to fingerprint records, many parents or guardians also received a photo of their child. Both California and New York introduced their CHiP Programs in 1990, and Massachusetts followed suit in 1996. The program grew in popularity throughout North America, and by 2009, Masonichip International was designated as a 501(c)(3) nonprofit organization. 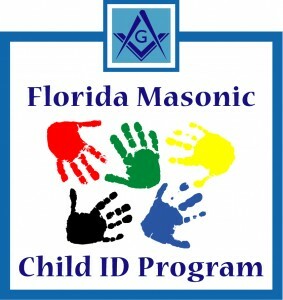 The Freemasons usually request funding from their local lodges in order to offer the child identification program at no cost to families. Over time, as technology improved, the identification process moved from Polaroid photos to VHS tapes, and eventually to the DVDs that are currently used. Many CHiP programs provide the parents and guardians with a DVD-RAM, a small mini disk that usually cannot be played on a home disk player. Local law enforcement officials can play the disk on their equipment, however, and use the information to assist with locating the missing child. The disk normally contains a still photo of the child, as well as a video portion. In many cases, the person recording the video will ask the child a series of questions that allows for study of his or her voice and mannerisms. In addition to the DVD-RAM, families typically receive a fingerprint record, a set of dental bite impressions, and a swab of the child’s DNA. The fingerprints and dental information can assist police when looking for the child, and rescuers who utilize search dogs can conduct a more effective search by exposing the dogs to the DNA sample. The administrators of the CHiP programs do not keep any of the child’s information in their own files. Volunteers simply record the information and give it to the child’s caretakers. It is the family’s responsibility to safeguard the information, and they are usually advised to carry the packet with them if they travel away from home. In the United States, the National Center for Missing and Exploited Children has recognized the Masonic CHiP program as an outstanding example of a successful national child identification effort. They have called the program one of the most comprehensive in existence, due to its success with not only finding and identifying children, but in helping to more effectively prosecute child abductors. There are several advantages of the CHiP program as a community service. One is that the kits provide several types of helpful information in a convenient packet. It might be difficult for parents to assemble such information on their own, especially without access to the most current technology. The CHiP initiative also fosters collaboration between Freemason organizations and child welfare agencies, for example. They also work with dental associations, whose members donate their time and expertise to generate state-of-the-art identification records.